Southern Cross Guest Ranch is a premier year-round guest ranch and horse farm conveniently nestled in Central Georgia's Historic Heartland and within an hours drive from Atlanta. 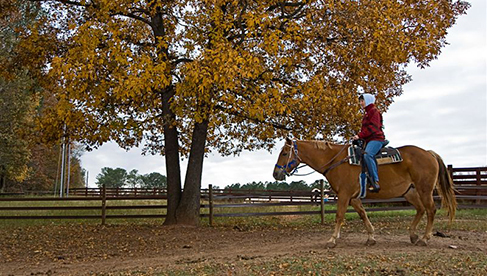 Home to over 200 quality Paint and Quarter horses, this Georgia guest ranch is best known for its exceptional hands-on horseback riding program, unguided riding opportunities, and peaceful, comfortable setting. 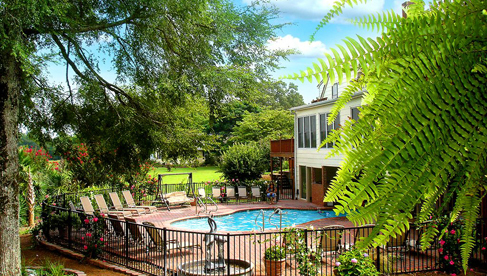 We welcome you to experience our delightful accommodations, exceptional cuisine, and southern hospitality. Southern Cross Ranch - a wonderful All-Inclusive dude ranch vacation in a horse lover's paradise. Georgia Traveler visited Southern Cross. Watch the video to see more of this ranch! 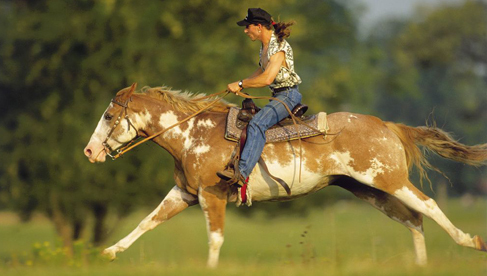 Horseback riding is the featured activity at Southern Cross Guest Ranch. Horses outnumber guests by more than 7 to 1, so there’s sure to be a horse right for you. The climate in Georgia is great for horseback riding year round. The riding program even allows qualified guests the unique opportunity to ride on their own if they desire, but small guided groups are always available. You'll be encouraged to groom and help tack the horses for a true hands-on and bonding experience. Whether you want to ride lazily across beautiful open pastures or trot & canter through lush wooded trails, Southern Cross Ranch can accommodate your needs. If you or a member of your group are not into horseback riding and don't wish to start, there are non-riding plans available with reduced rates. Individual guestrooms at Southern Cross Guest Ranch are pleasantly appointed featuring a King-sized bed, A/C, TV, DVD, free wireless internet, phone and private bath. Premium rooms offer whirlpools, fireplaces, and extra nice views. 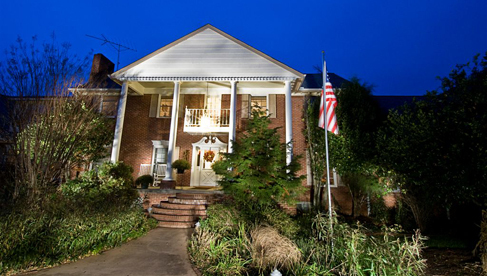 Rooms are available with a rustic, western theme or more traditional Southern décor. Some rooms may have a King and Queen or King and twin bed arrangement. Meals at this Georgia dude ranch are served buffet style 3 times daily and feature a delicious mix of international cuisine as well as local favorites. All guests will also enjoy complimentary unlimited nonalcoholic beverages and unlimited snacks and desserts available 24/7. 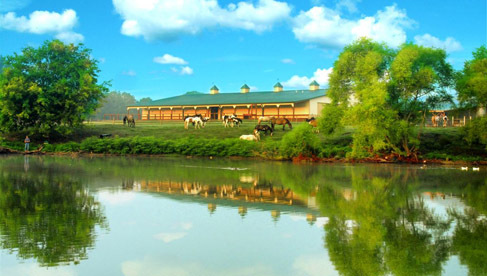 Premier year-around family-owned guest ranch & horse farm conveniently nestled in Central Georgia's Historic Heartland featuring over 200 horses and both guided and unguided riding. Travel Agents Accepted- Southern Cross Guest Ranch works with travel agents!